The Best Alternatives to Action! The rising popularity of video game streaming and recording with added commentary has resulted in the release of many different software to get the job done. One example of such software is Action! . Developed by Mirillis, a company that makes multimedia applications for all sorts of digital entertainment, this software has several different settings and features that you can play around with to get the exact results that you desire. Don't miss: Action! 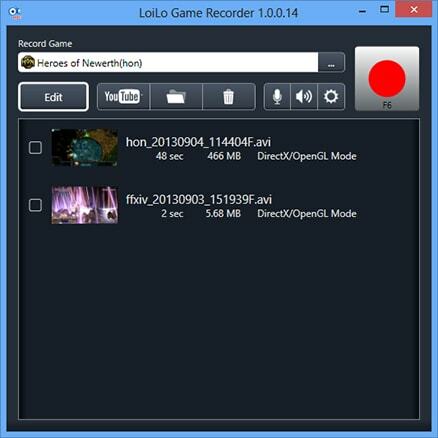 Review: Best Gaming & Desktop Recorder . Action! is not without its flaws, however. Some of the features are glitchy, including audio capture and sometimes even video capture. Action! also does not allow you to set a custom frame rate, which is an option in many other programs. Luckily there are some alternatives, and some of them are absolutely free. Open Broadcaster Software (OBS) is a free program that can be used to record or stream games directly to Twitch, YouTube live, and many other live streaming platforms. It can record input from your whole screen, webcam, or an individual window that you specify. It offers the ability to overlay one capture onto another, and you can even add a professional watermark. The downside to OBS is the large size of the output file which may hinder your game’s performance, or the quality of your stream. You can however add an unlimited amount of scenes and switch between them easily, and use chroma key to change the background behind your captured webcam video. CamStudio is an open source software suite that can record any screen and audio activity from your computer. You can use CamStudio to create AVI formatted files, or save the bandwidth of your viewers and convert it to a SWF file. You can easily add on screen captions and overlay video captured from your webcam. CamStudio uses its own lossless codec that results in clear videos that still retain a small file size. It is user friendly and comes with built in help files to assist you if you get lost. It is only available for Windows machines, and does not offer as many features as some of the paid programs available. Loilo offers Motion-JPEG support which means you can reach a good balance between file size and capture quality. Essentially, you can capture HD video while still maintaining a reasonable file size. It offers very little performance loss during your game, and is easy to use, requiring only the click of a button to start recording. It is compatible with many different games, including games that you play in your browser. It is only available for windows, and requires at least a Core i Series CPU, 2GB of memory and at least 5GB available on your HDD. And it is offered for free. Filmora retails at $59.99, which is just about mid-range for this type of software. This is actually a video editing software with the capability of capturing video from your screen. As such, it comes with a wide variety of editing options like chroma key and audio mixing, but by trying to be both a screen recording software and an editing software, it manages to fall short on both. It does not support streaming, but is available for both Mac and PC. This is a good option if you plan on doing extensive editing after capturing your screen or video, and aren’t exactly a professional video editor. Priced at $39, but frequently on sale, Aiseesoft is a user friendly screen recording tool that can capture games, make video tutorials, record webcam videos, take screenshots, and even capture streaming movies and radio from the internet. With its real-time high definition video encoding technology, it captures excellent quality videos and sound on both full screen or in areas of your choosing. Aiseesoft Screen Recorder allows you to choose between MP4 or WMV file formats, but does not offer live streaming support. To use this software you must have a Windows machine running Windows 7 or higher, have a 1GHz Intel or AMD CPU or better, and 1GB of RAM or more. At $63.90, SmartPixel is one of the more expensive options. It is compatible with both Android and Windows, meaning you can capture gameplay video from your favorite mobile games as well as from any OpenGL or DirectX game. It can capture audio, and outputs your captured video as MP4, AVI, WMV, FLV, 3GP or most other general formats of your choosing. 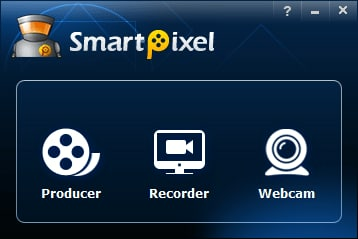 SmartPixel includes editing software so that you can edit your videos after you have captured them, and supports uploading to Goplay, Twitter, Facebook, and YouTube. They offer a 30 day free trial so you can make sure that it is the program for you before opening your wallet. ScreenFlow, like many of these other programs, wasn’t designed for recording gameplay, but is completely capable of the task. It offers the ability to record any part of your monitor and also capture video from a webcam, iOS device, microphone, and computer audio. You can easily edit your captured video in their built in editing program to add images, music, animations, and transitions. You can export your files as MP4, MOV, M4V or GIF to share anywhere on the internet. At $99, this is a pricy piece of software, but if you intend on doing more than simply recording your gameplay, it might be worth it. It is only available on Mac. Fraps has been around for many years now, but is still only available for Windows. For $37 you get benchmarking software, screen capture software, and real time video editing software, all in one small pack. You can choose a custom frame rate for your video capture, all the way up to 120 frames per second. Because of its longevity, there is plenty of online support for Fraps on forums all over the internet. Fraps hasn’t been updated since February 2013, which is never a good thing with software of this kind. As games continue to evolve, the software that you use to record your gameplay should also evolve. That said, the longevity of Fraps does speak to its high quality performance.